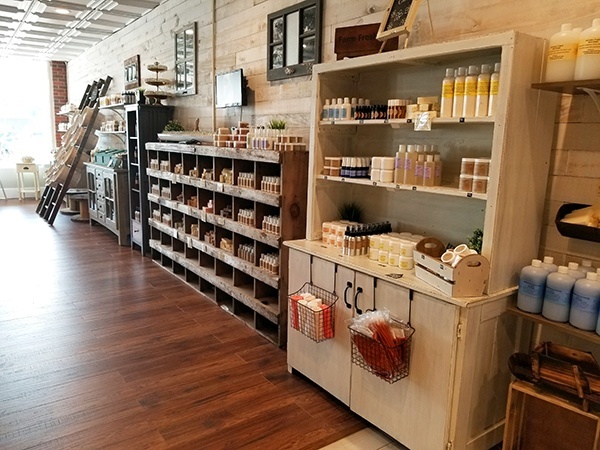 Walk into ModernRoots and prepare your senses for a pleasing range of natural scents: you’ll find everything from refreshing grapefruit and aloe face mist and clementine soap to soothing lemon eucalyptus laundry detergent and neroli beard balm. Each of these natural products is handcrafted with a purpose — the magnesium balm is said to help alleviate headaches and the mushroom-derived chaga eye cream serum helps fight wrinkles and serves as a plumping agent. 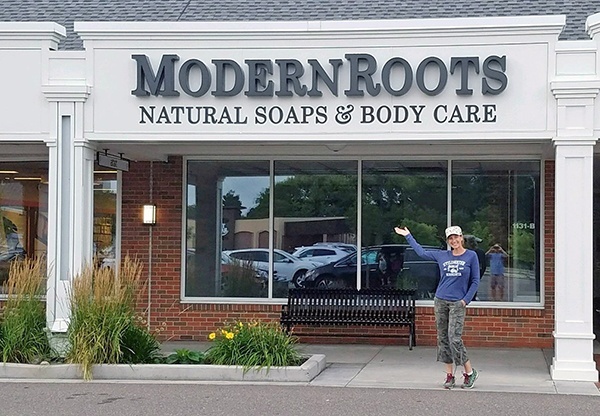 ModernRoots' 1,100-square-foot shop opened in August 2017 at Wayzata, MN's Colonial Square shopping center. Anchored by upscale supermarket Lunds & Byerlys, the center recently underwent a façade improvement and received several enhancements. 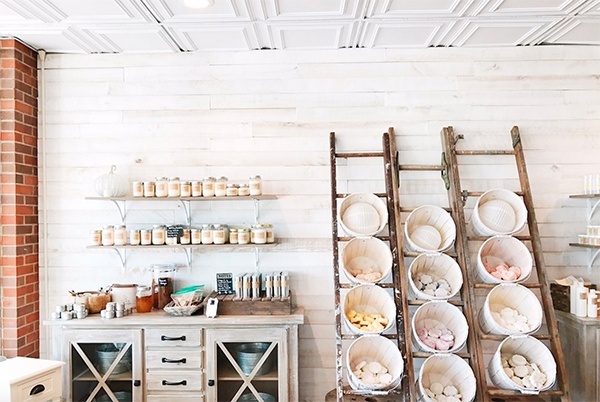 The location is founder and owner Meg DiMercurio’s third Minnesota outpost. She chose Colonial Square because it is in an area that “supports the local handmade marketplace” and is established. She also notes that the recent center facelift is visually appealing — like her product offerings. 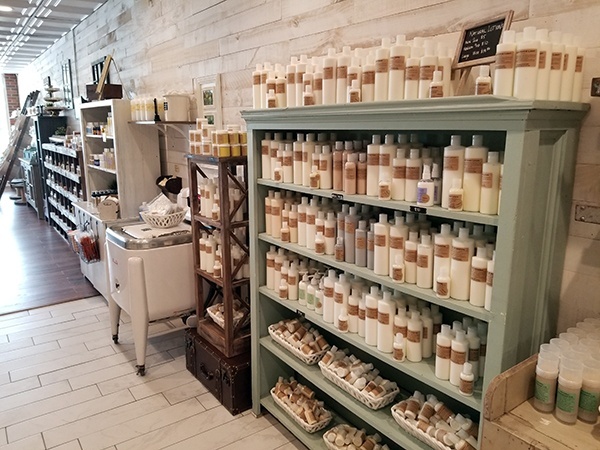 Making products that are corn-, canola-, paraben- and phthalate-free is important to DiMercurio because her daughter was born with a severe skin disorder almost 10 years ago. After looking for products that were natural, she couldn't find them or they were extremely expensive. So she began developing skin care for her daughter herself — finding oil compositions that complimented each other, and blogging about her journey so others could follow the same blends that respond to skin cells. Responses to her blogs quickly poured in as people repeatedly inquired about where they could purchase the blends. And the rest is history. “I now produce more than 350 original products based on the acid mantle derm layer for high sensitivities, all while making the product fun and exciting for the general public,” DiMercurio explains. Product offerings include natural handmade soaps and perfumes, sulfate-free laundry and cleaning supplies, lotions made from blended essential oils and natural ingredients, sun care products, natural deoderants, body butters and balms, lip and teeth care items, bath bombs, facial care and beyond. For more about the shop, see Minneapolis-St. Paul Magazine's write up or ModernRoots' Facebook page.